The rowing machine has been around since the 4th century. Originally designed for military training, indoor rowing machine are now a staple in home gyms and commercial gyms alike. Whether you want a rowing machine to ramp up your cardio while targeting your abs, or you’re in serious training for a rowing event, the best rowing machine needn’t cost the earth and we’ve got 5 great examples for you today. We’ll dive straight into our indoor rowing machine reviews right now then we’ll give you some handy hints on getting the best equipment for your needs. We usually make a point of selecting a range of products from as many manufacturers as possible. 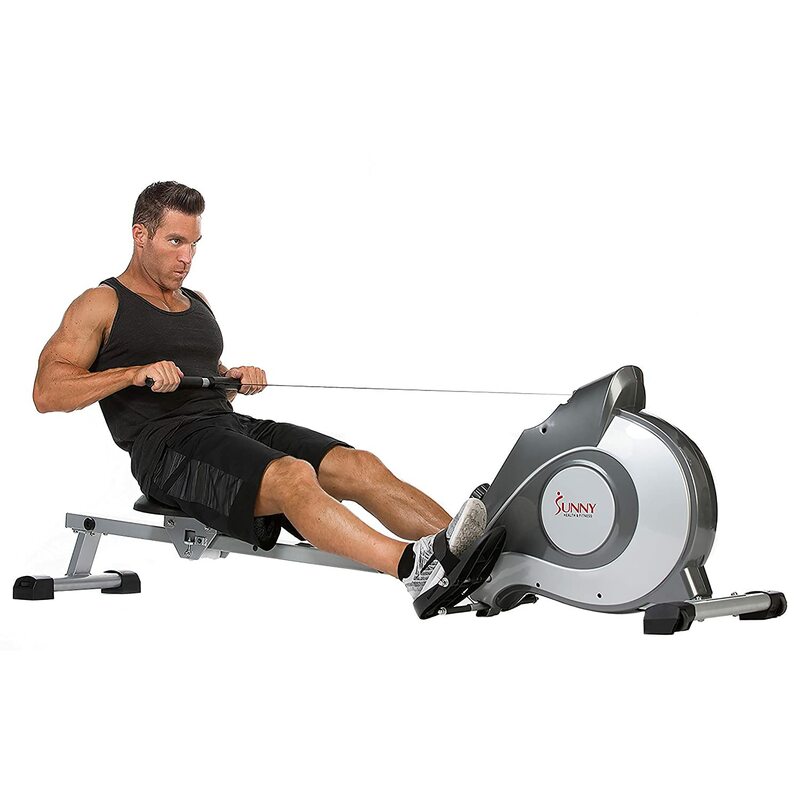 When it comes to rowing machines, though, Stamina has a stranglehold so this is the first of a pair of powerful machines from this stellar brand. 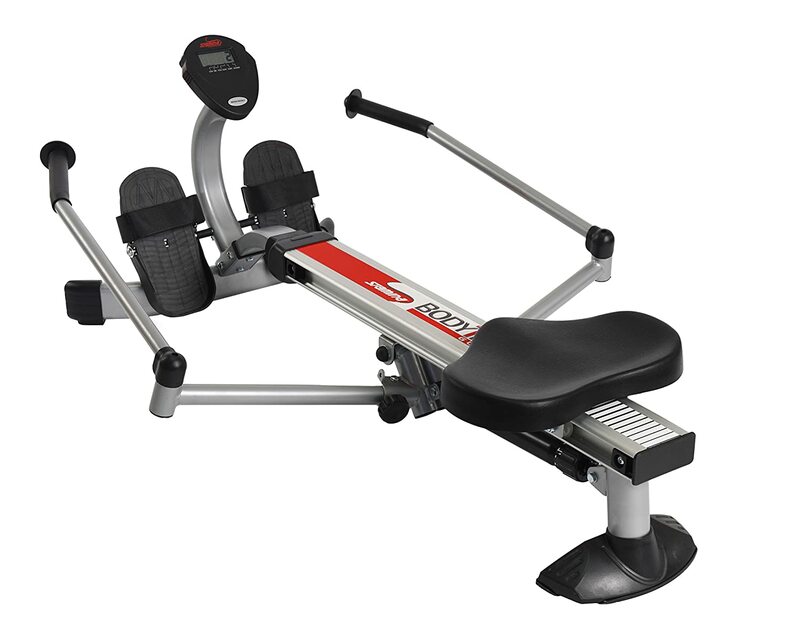 The Body Trac Glider 1050 is an entry-level rowing machine so this is not for you if you plan to hit it hard on a regular basis. If, on the other hand, you want the occasional light burst of cardio incorporated into your routine, this is a pocket-friendly way to make that happen. Any budget product inevitably involves some degree of compromise. This is a hydraulic machine with resistance delivered by a single piston. After sustained and vigorous use, this resistance lowers so we reiterate this is not the rowing machine for you if you’re extremely athletic and ready to push your limits on a daily basis. A few disgruntled users have complained about their feet slipping off the footrest. Fit is to a large degree subjective with rowing machines. Even if you plan to buy your machine online, it’s always a wise idea to hit the stores. There’s nothing wrong with pressing a few pieces of equipment into action without feeling committed to purchase. The seat on this rowing machine is comfy and padded while also durable enough to last the distance. Control through the console is limited but fit for purpose. 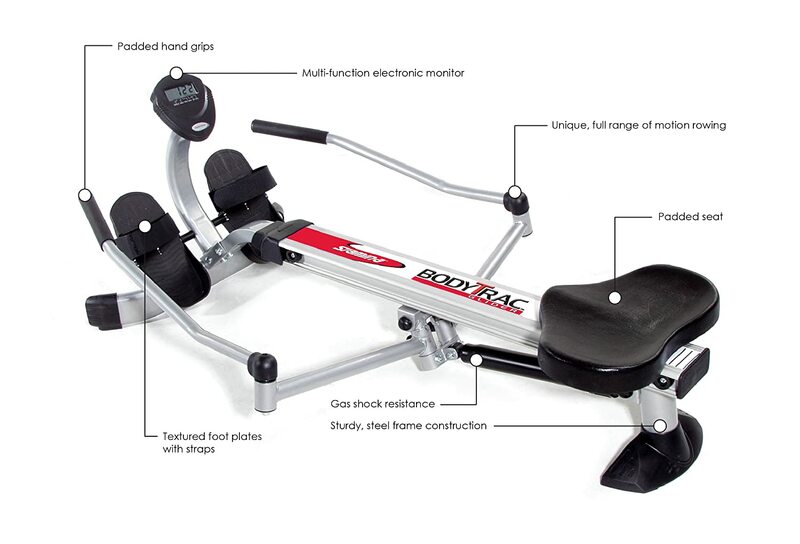 If you’re looking for a budget indoor rowing machine from a brand you can rely on, the Stamina Body Trac Glider 1050 punches above its weight. 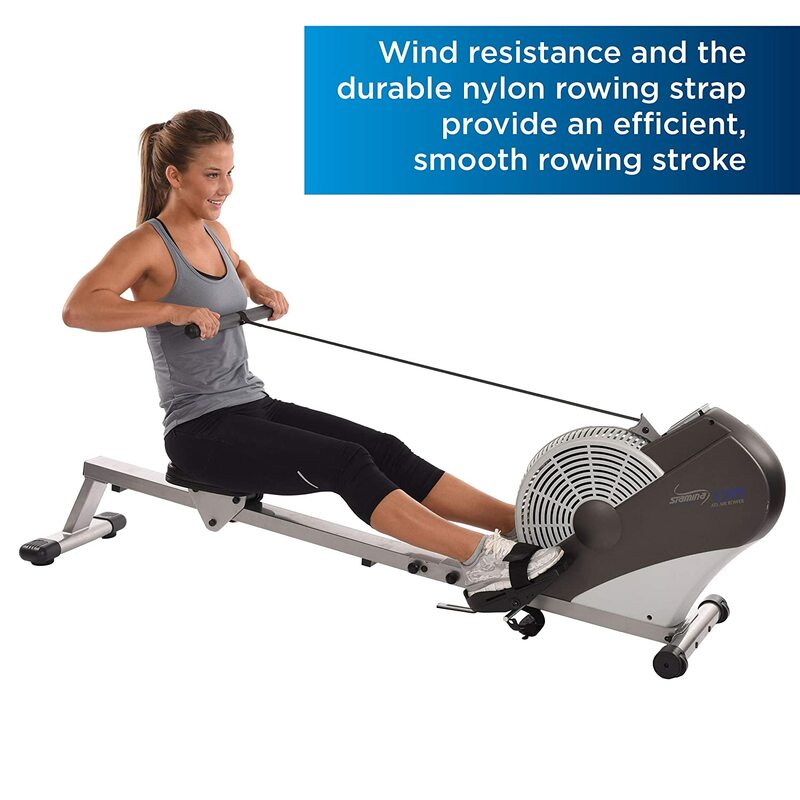 Next up in our indoor rowing machine reviews is another Stamina, this time the Air Rower. This rower is still by no means expensive but we’re edging toward the upper end of budget territory. As the name makes abundantly clear, you work out against air resistance when you’re rowing on this gem. This makes things super-simple if you’re just getting started but more experienced rowers will find resistance simply doesn’t kick in quickly enough. Not everyone has space for a separate dedicated home gym. If you have equipment you get out then pack away after working out, the Air Rower folds nearly so you can slot it into a small closet without too much problem. The display is crisp, clear and provides full access to all the information you need. You obviously won’t get a tech-driven beast at this price point but the console gives you everything you need. While the frame is covered for 3 years, the parts only come with a 3-month warranty. We’re not telling you something is likely to go wrong that quickly but it pays to know where you stand if they do. 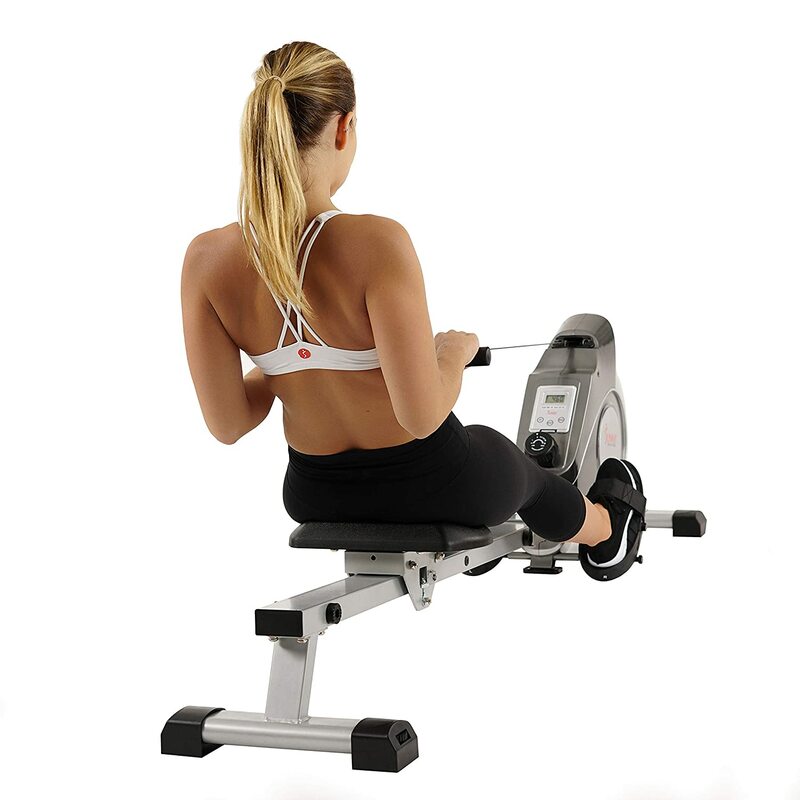 For a reasonably priced rowing machine ideal for moderate use, the Stamina Air Rower is a must-try. 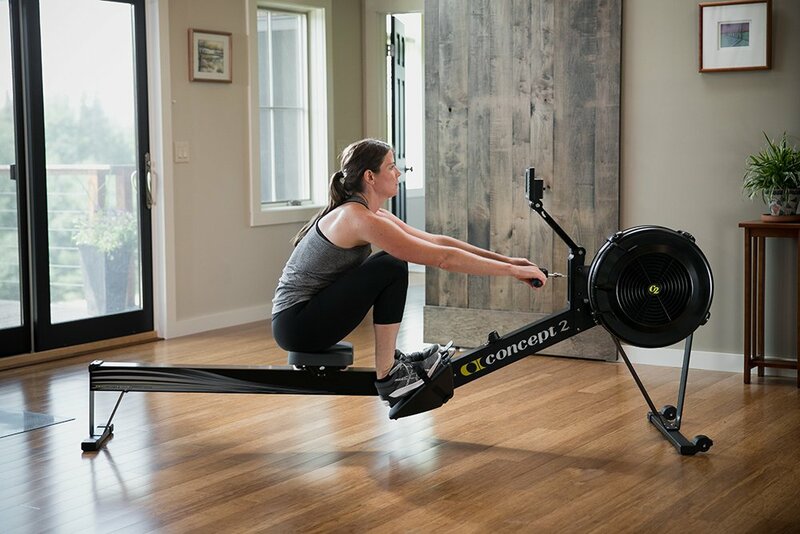 As we hit the midpoint of our indoor rowing machine reviews, we’ve got the first of a pair of Concept2 machines, the unimaginatively-named Model E.
The substantial seat makes this rower a good fit for larger users. A nickel-coated chain gives you quiet operation along with incredible durability so you can punish your Concept2 pretty hard without undue worry. Maximum load-bearing of 500 pounds gives you plenty of scope and although this is a bulky unit, it breaks down into 2 parts and comes with casters to ease transportation. If you can get past the eye-popping price tag and you want a rock solid rowing machine for your home gym, the sleek and powerful Model E is hard to beat. 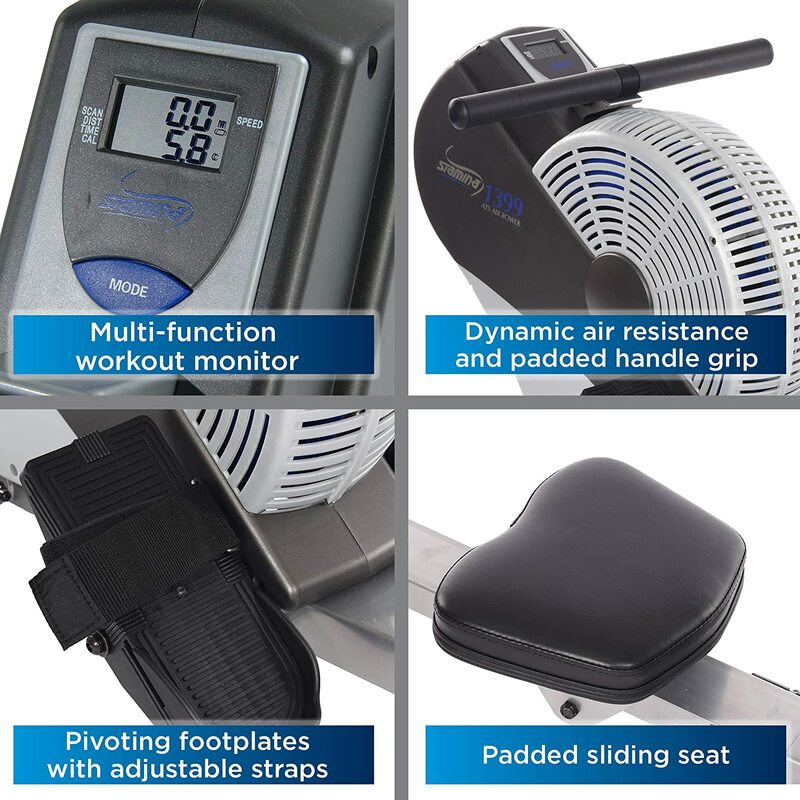 As we near the end of our indoor rowing machine reviews, this magnetic resistance model from Sunny Health & Fitness is a very affordable rowing machine that won’t poke you in the eye in terms of performance. The magnetic system means you’ll get a smooth rowing action that feels pretty natural and allows you to work out for extended periods without straining yourself. Features and functionality are limited as you’d expect at this price point. If you want more bells and whistles, you’ll need to pay for the privilege and either of the Concept2 models we review deliver fully on that front. With the frame covered for just 1 year and moving parts covered for only 90 days, you’re obviously not buying a machine that will last a lifetime. If, though, you want a great addition to your home gym for less than the price of a gym membership, check out this awesome indoor rowing machine at your earliest opportunity. 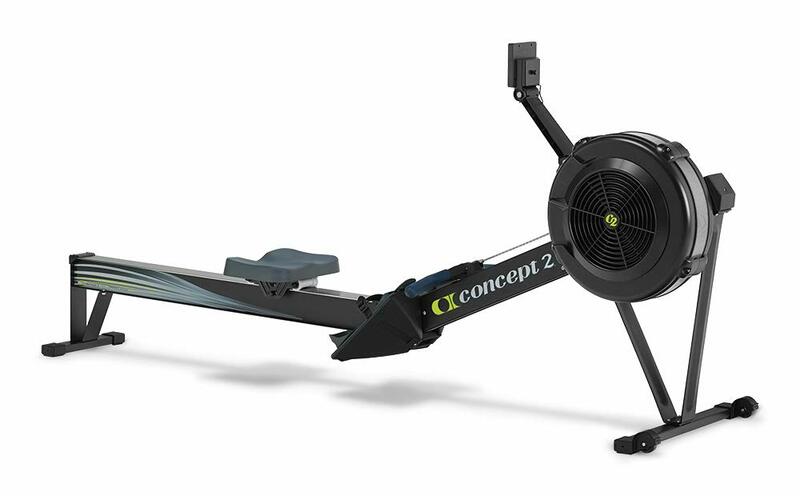 The Model D from industry giant Concept2 is, put simply, the best-selling rowing machine in the world. It’s not cheap but the best things in life seldom are so read on if you want an uncompromising rowing machine designed to help you achieve your fitness goals year in, year out. Many competitive rowers use the Model D to get into peak condition for their next event so you know you’re in safe hands. Despite its complexity, getting set up is a breeze and it’s a very user-friendly machine once you’re up and running. 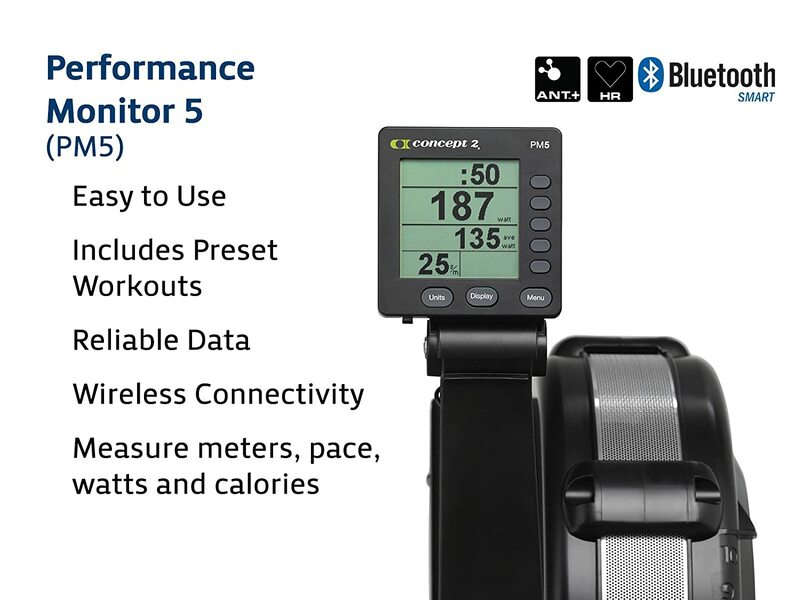 The Performance 5 monitor lets you track your speed and distance along with calories burned so you can see exactly what you’ve gained from each and every workout. Connectivity allows you to analyze this data through USB on both Mac and Windows. If you’re serious about your fitness goals, this data analysis alone makes the Model D worth the price tag. With all moving parts backed for 2 years and the frame covered for 5 years, you can buy without any concern about your rower packing up on you. 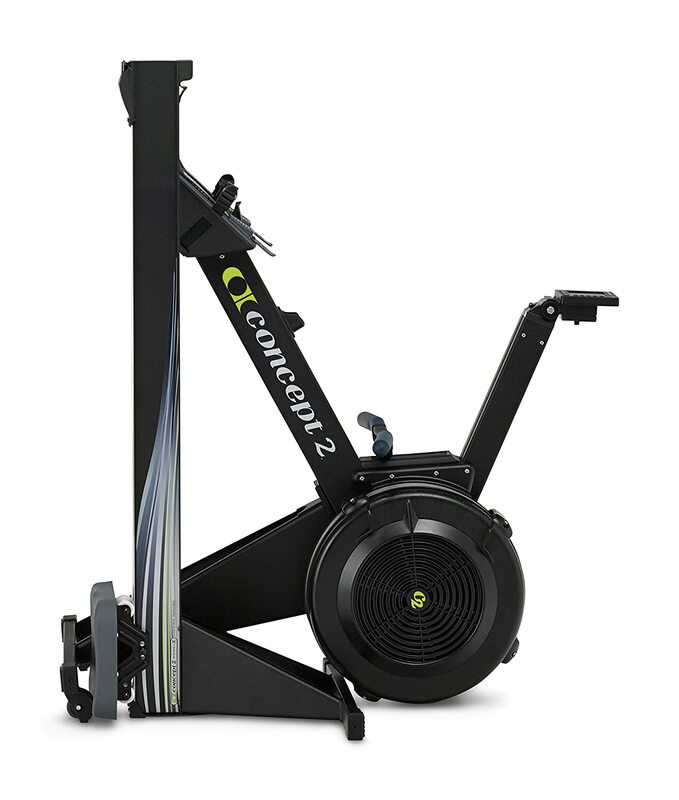 If you are a serious athlete and hit the rowing machine hard, it’s well worth exploring Concept2 machines. Then… Well, it’s just a case of which model to choose! 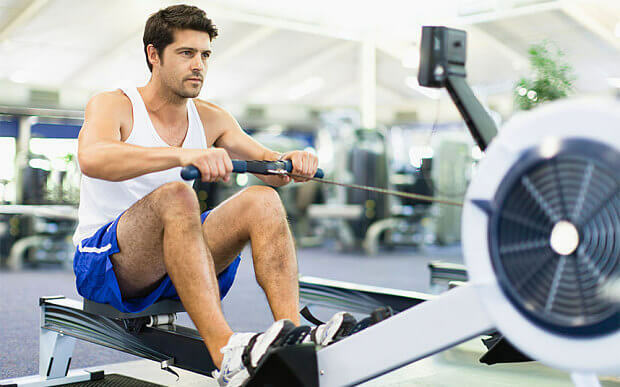 Why Use an Indoor Rowing Machine? You can use a rowing machine to hone your whole muscular system. If you’ve often heard swimming referred to as a complete exercise, rowing is also a fantastic way to target the entire body in one focused workout. Machine comes with many different types of resistance and you can find something to suit your fitness level and budget if you focus on a few simple pointers first. Pay attention to the following and your buying decision should be an absolute breeze. Before thinking about the specifics of rowing machines, be honest about how you plan to use it. If you’re a competitive rower looking for consistent daily sessions, you’ll have very different needs to a beginner after the occasional shot of light cardio. Not all indoor rowing machines come with a display so don’t take this as a given. A standard display will show you speed and distance along with the number of calories burned. Beyond this, the amount of data you get varies from model to model. Think about the functionality you need and buy accordingly. It’s also worth checking if the rowing machines you’re looking at have USB ports so you can export and analyze your workout data to drive forward with your fitness goals. Think about the size of the unit when it’s set up and also whether or not you’ll need to break it down and store it away when not in use. If you have a dedicated home gym, your needs will different wildly to someone living in a small apartment wanting an occasional shot of cardio. Look for the size and portability which meshes with your needs. Look for a folding rowing machine if that makes better sense. We trust you’ve found plenty of useful nuggets in these indoor rowing machine reviews and you’re now perfectly placed to uprate your home gym and amp up your fitness goals. Drop us a line any time with your queries or feedback. We love to hear from our readers and we’ll help out in any way we can. Now hit that machine hard and come back soon!